Kamaishi City (Iwate Prefecture) is located in Northern Tohoku region. It is accessible by bullet train (Shinkansen) or by plane. Here is one example. Please check the latest information. 1. Get to Morioka or Shin-Hanamaki From Tokyo. 2. Take a local train to Kamaishi. Take the JR Tohoku Shinkansen to Morioka or Shin-Hanamaki from Tokyo station, covered by JR for about 2hours 30minutes. Then transfer to the Kamaishi line to Kamaishi station for 1 hour 50 minutes. 1. Take a plane from Itami (Osaka) to Iwate-Hanamaki. 2. Take a bus to Hanamaki airport station. 3. Take a train to Hanamaki (Tohoku Line). 4. 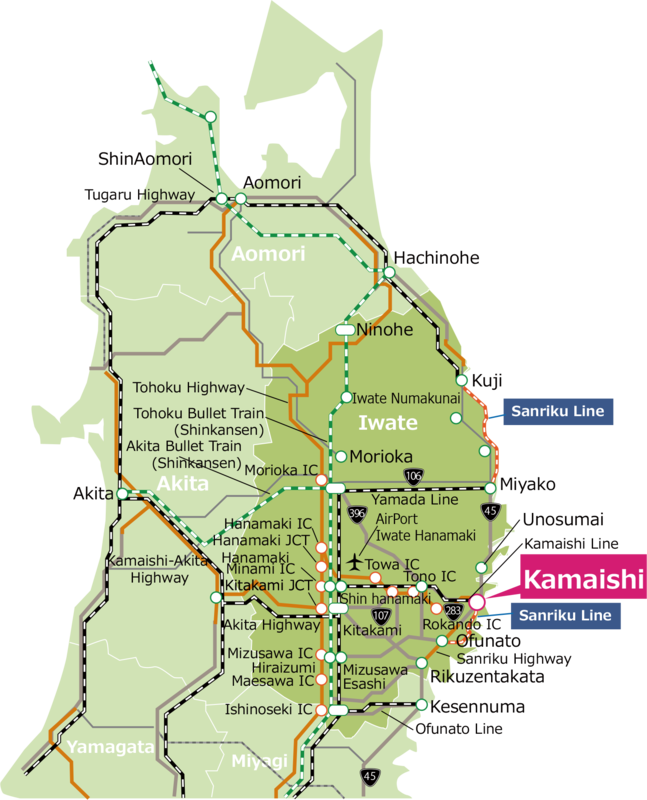 Take a train to Kamaishi (Kamaishi Line). Itami-Iwate Hanamaki runs about 4 flights per day, operated by JAL. 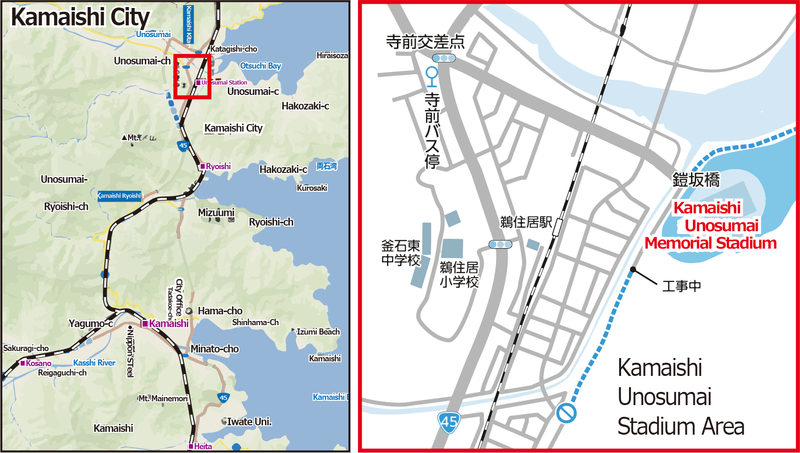 (1 Hours 20 Minutes) There are some ways to get to Kamaishi. There are two ways to reach the stadium by public transportation. ■ Take a bus to Yamada or Nakamura and get off the bus at Teramae. 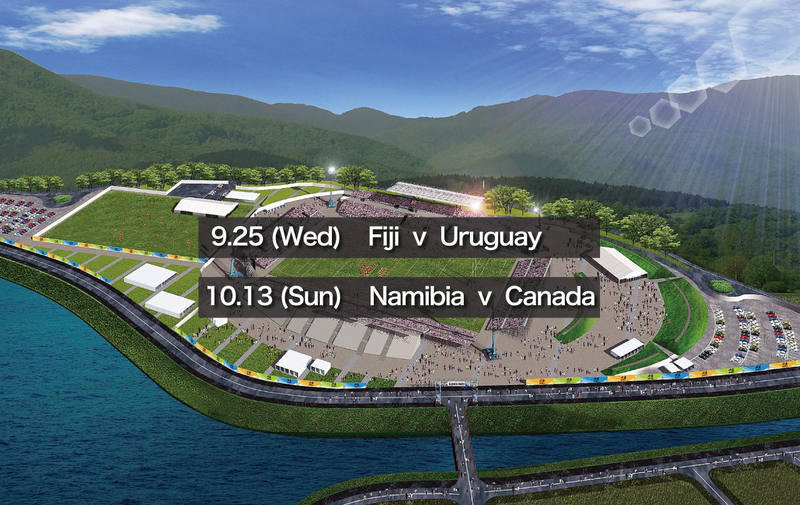 Then you will see the stadium in front of you. ■ Take a Sanriku Railway to Yamada and get off at Unosumai station. 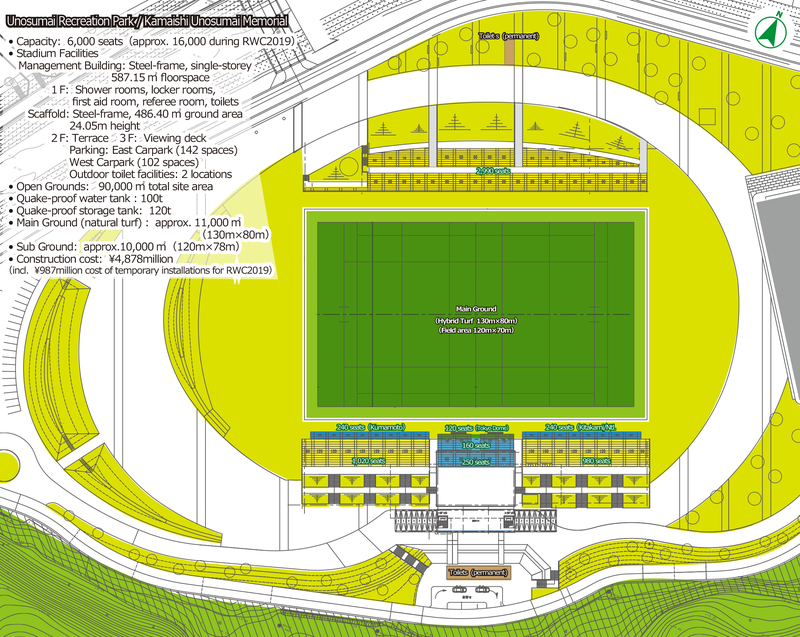 This is the easiest way to reach the stadium. Copyright © 釜石鵜住居復興スタジアム All Rights Reserved.